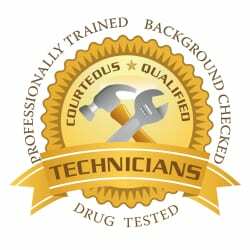 All of our certified plumbing technicians have been professionally trained, drug tested and background checked for your safety. Our technicians wear Five Star Plumbing Services identification and drive Five Star Plumbing Services vehicles. The owner of Five Star Plumbing Services, Chris Larichiuta, is a licensed, bonded, and insured Master Plumber in good standing with the state of Maryland. We serve the greater Baltimore, MD area.